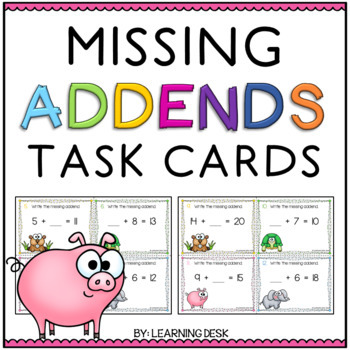 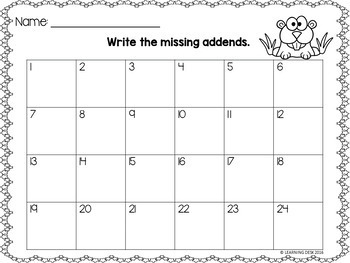 Missing Addends Task Cards: In this pack, you will get a set of 32 task cards to practice missing addends to sum 20; recording sheets for 24 answers and 32 answers; and an answer key. 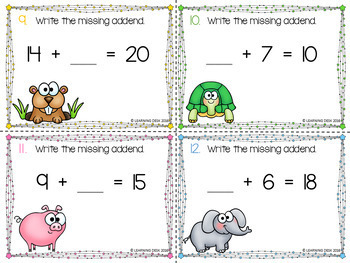 Task cards are great for math centers, whole class scoot activity, independent practice, or assessment. 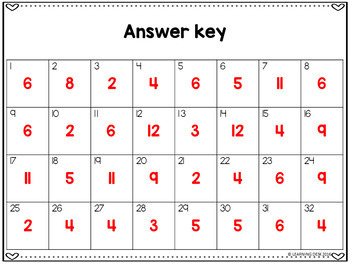 Click here to check more math task cards.